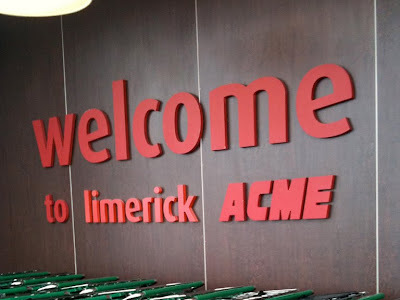 The Limerick Acme opened in the spring of 2007 and has struggled ever since. Giant, paired up with a Target, opened 6 months earlier just across the street and proved to be the bigger draw for grocery shoppers. The Acme is set to close by the end of February just shy of it's 4th anniversary which qualifies it as a "crash and burn" here at Acme Style. This store, along with many others that were built throughout the 2000's, never stood a chance largely due to the lousy locations where they were built. 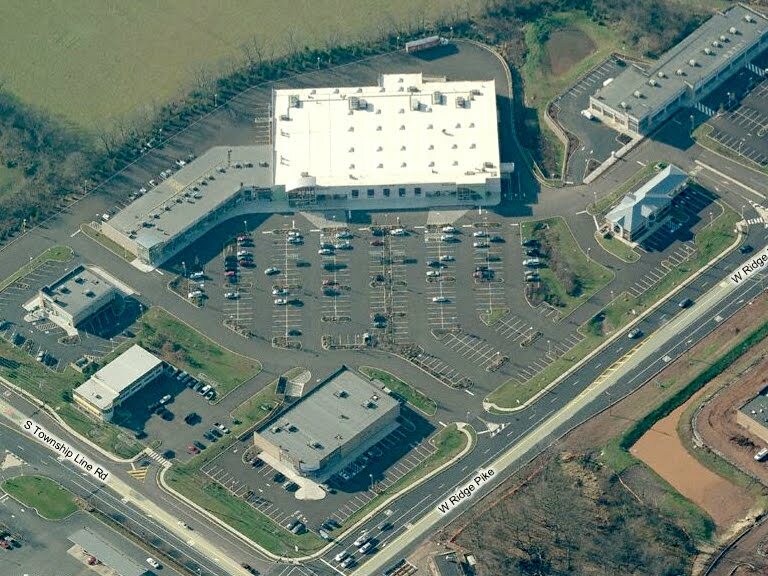 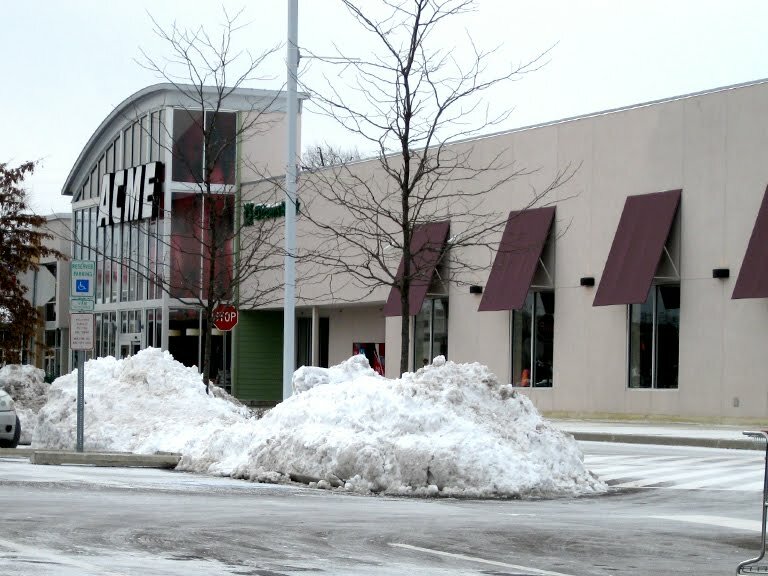 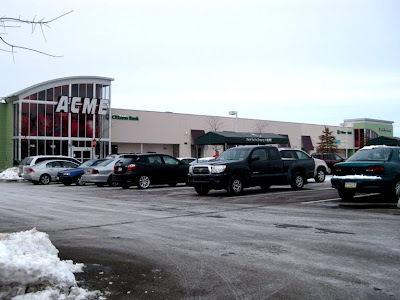 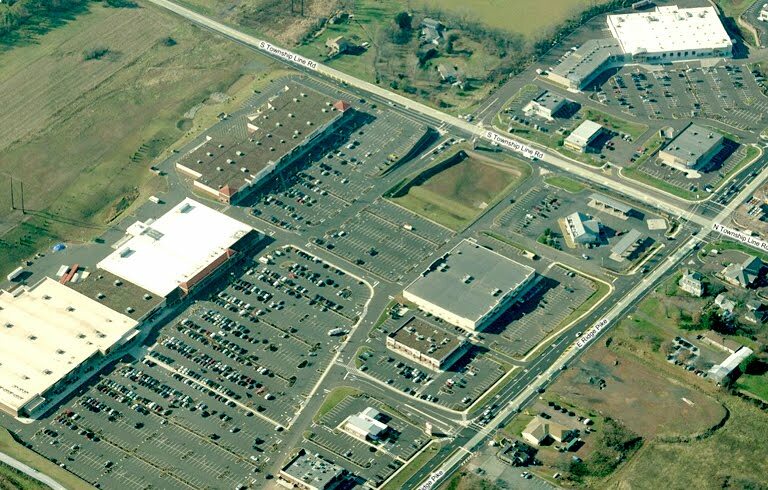 In a desperate move back in February 2009, Acme closed it's nearby store in Collegeville in hopes of luring Acme shoppers to the new Limerick location which was about 5 miles away. 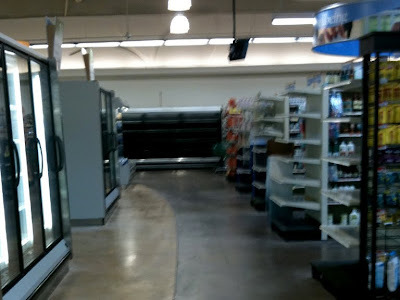 Clearly that plan didn't work. 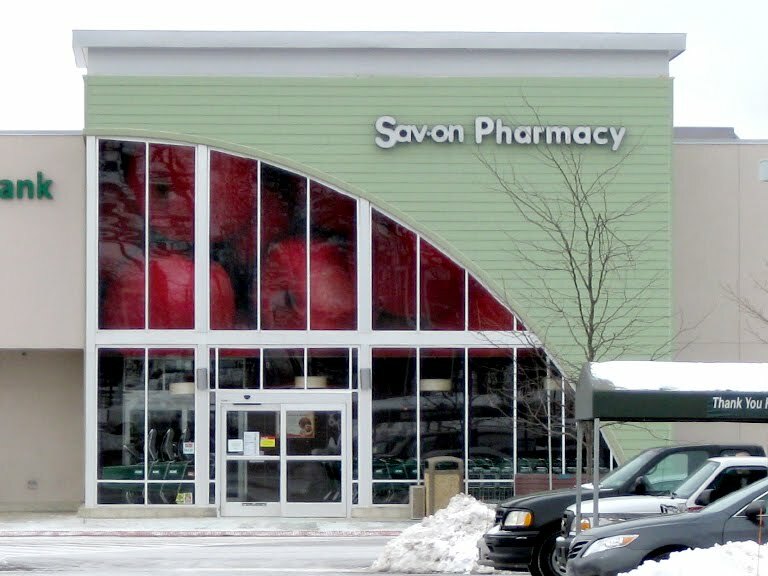 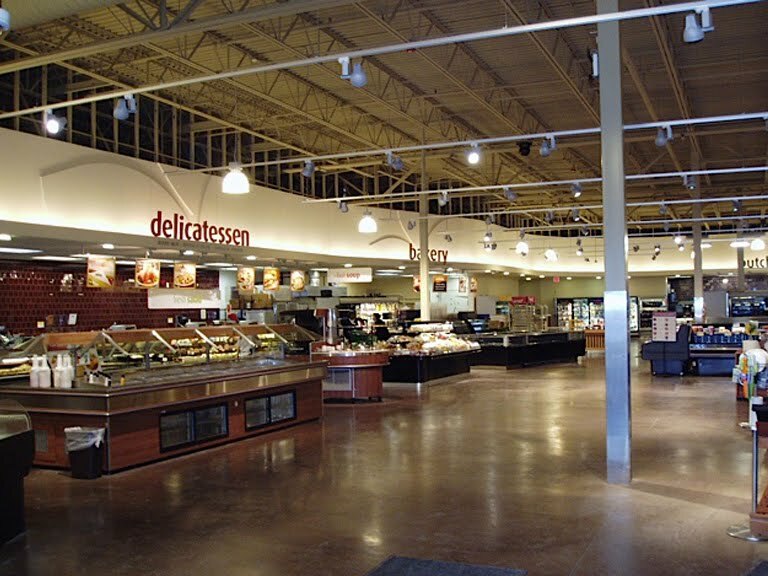 Collegeville was still a successful store when it closed but was facing competition from a Wegmans that was being built nearby. 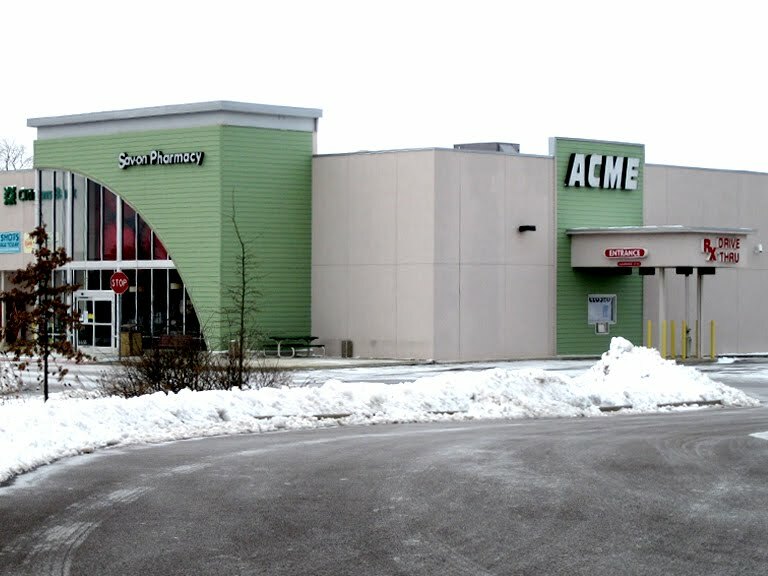 The Collegeville store remains abandoned to this day as Acme continues to hold the lease to prevent a planned ShopRite from moving in. 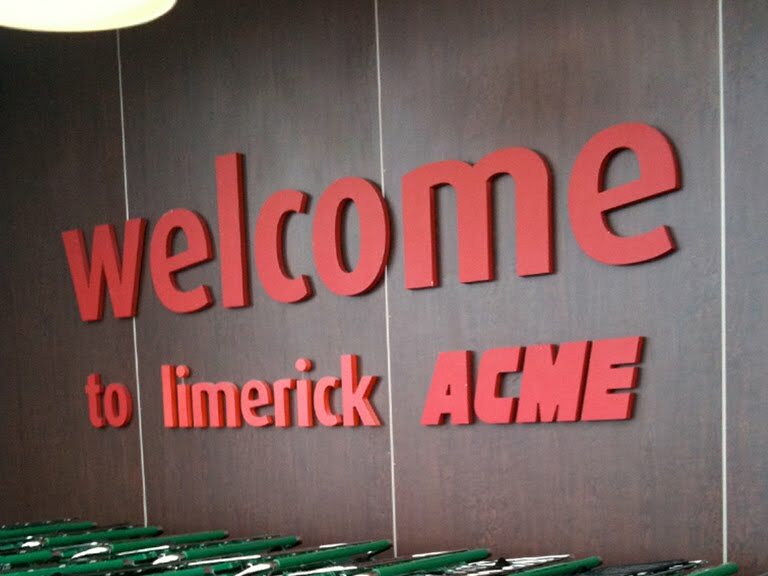 The Limerick Acme has a very contemporary exterior design not seen on any other stores in the chain. I'm not sure if this is the newest Acme to have been built but it's certainly one of the very few stores that have opened in the past 5 years. The interior is the original "Premium Fresh and Healthy" decor. The jury is still out on that decor package. 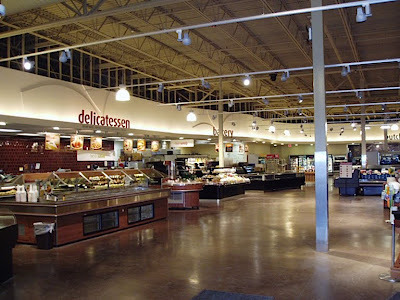 It is attractive yet extremely dark. 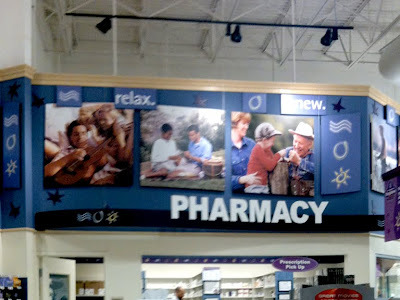 With no new Acmes on the horizon, this may be the last original decor package we'll see for the chain. 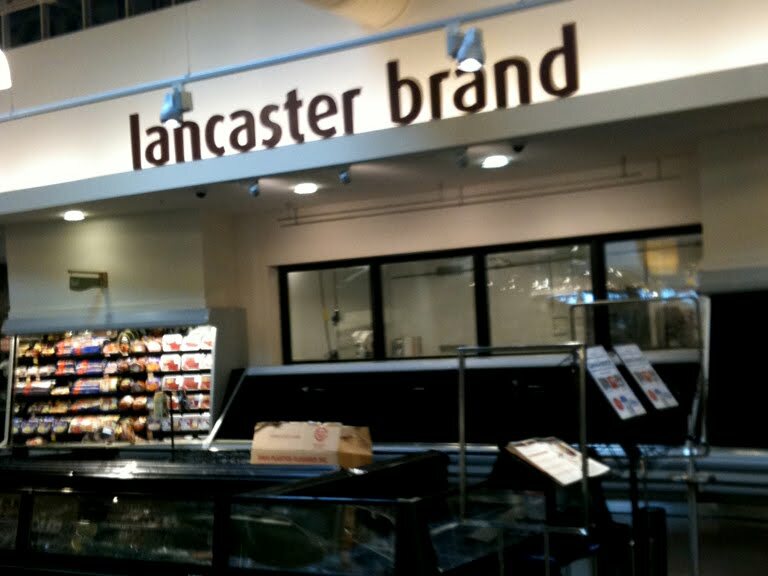 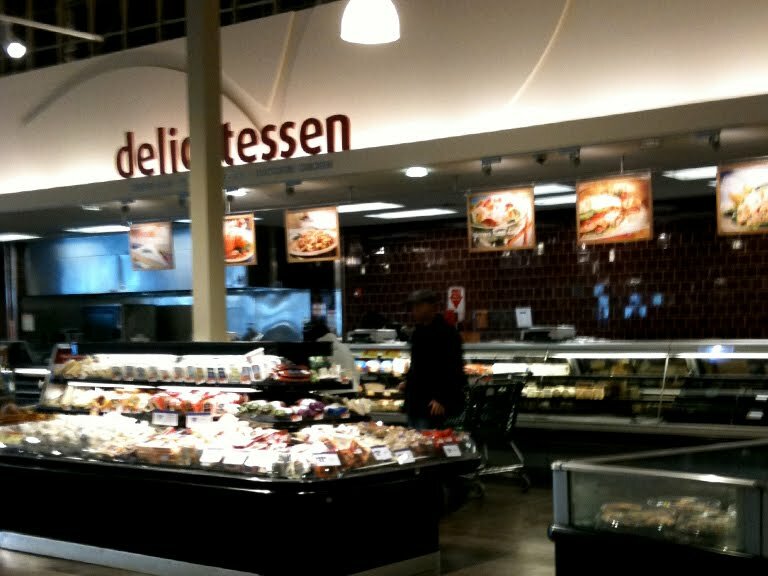 Stores currently under going remodels, are receiving a redesigned version of the Premium Fresh and Healthy look. 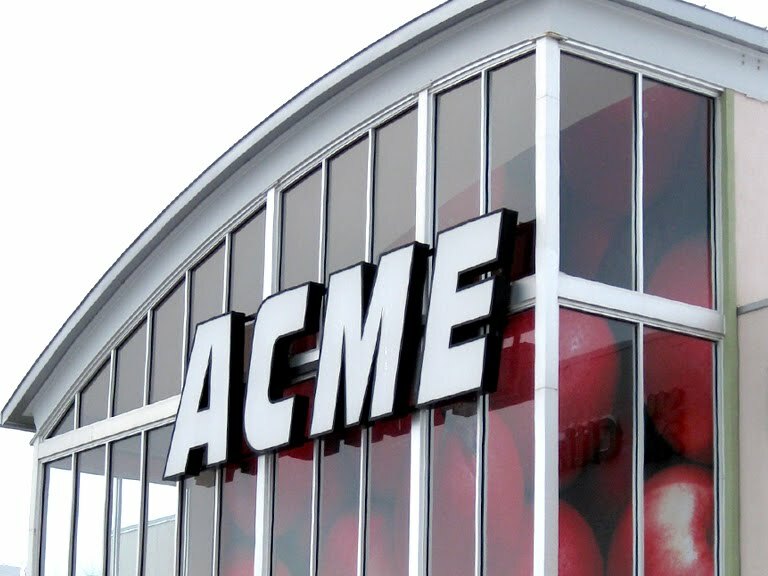 One element not seen in Acme stores for decades now is windows along the front of the store. 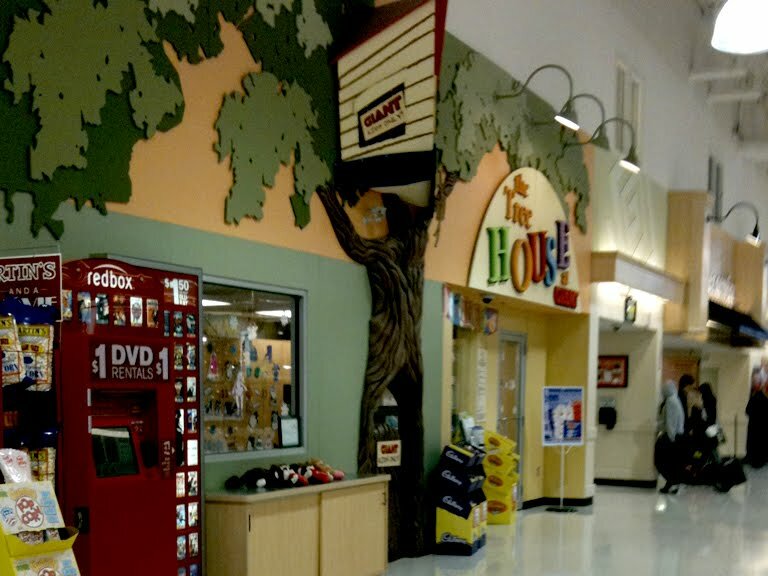 Grocery stores generally went windowless in the 90's as the front walls became populated with customer service departments, banks and pharmacies. 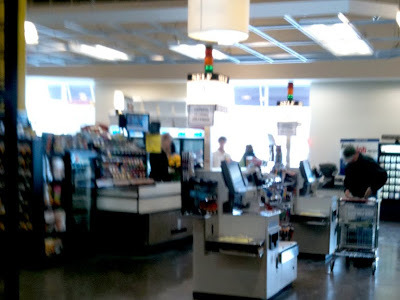 Checkouts line the windowed wall here with no merchandise along the wall to block the view to the outside... just like the good ol' days of Acme. 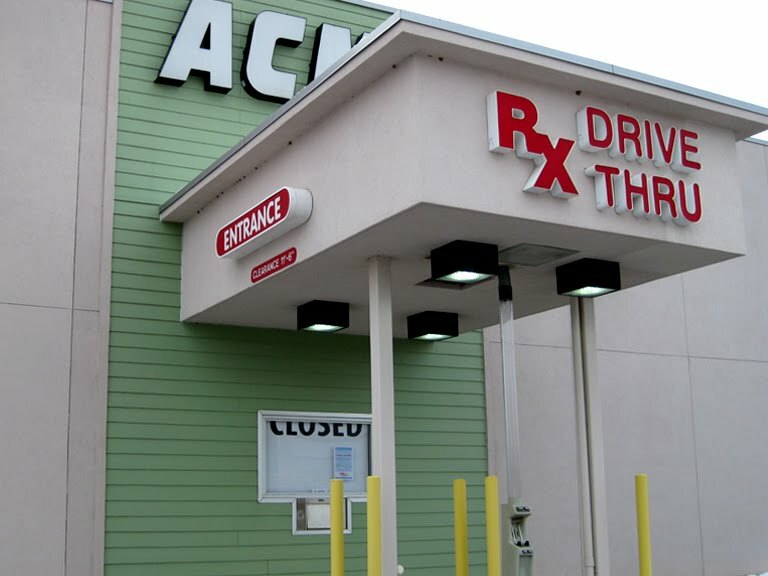 The Pharmacy closed on January 18th. Looks like someone forgot the "your" or at the very least... "the". Some very blurry images to come. 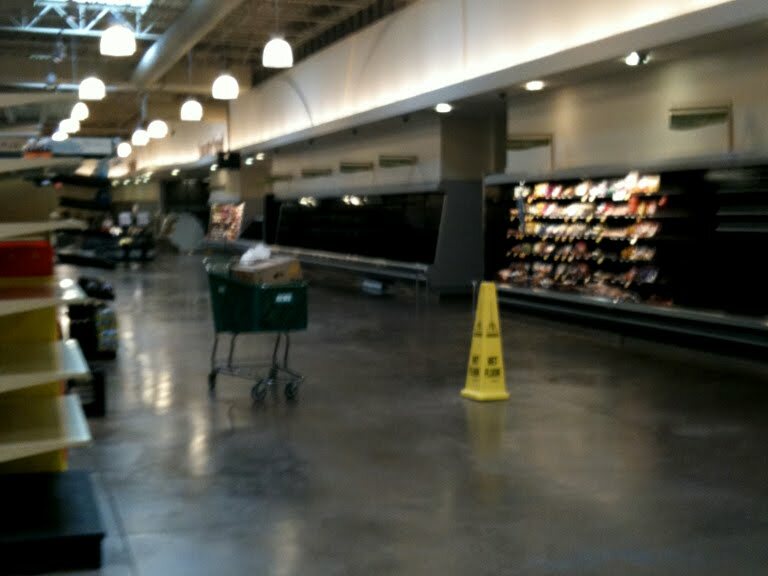 With the lack of merchandise and shoppers and an abundance of employees, it was difficult to be discreet while taking pictures. 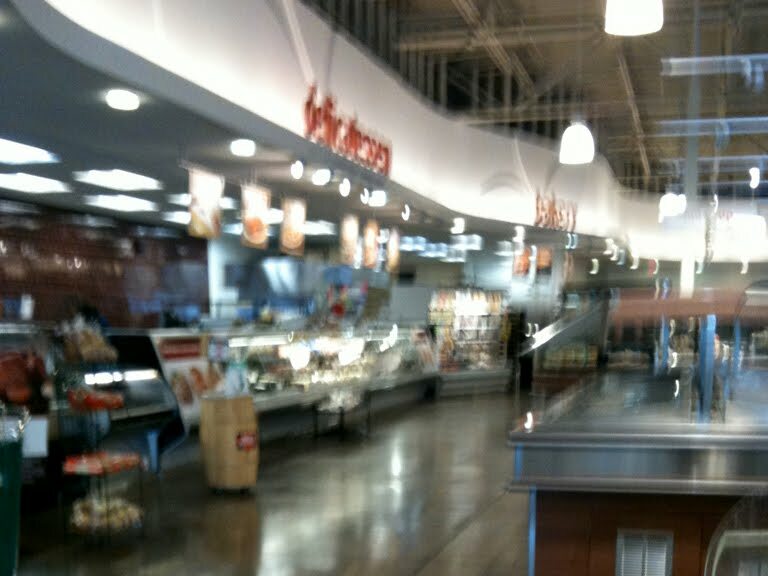 I had to snap pictures quick and keep moving. 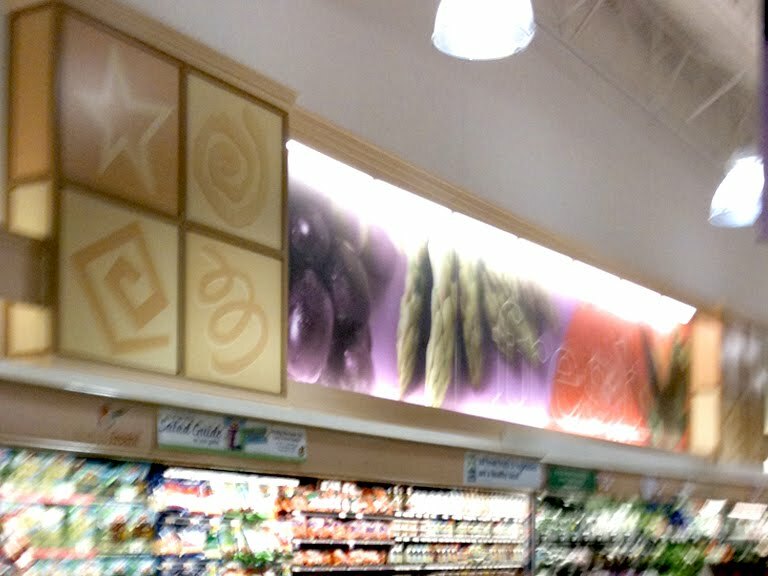 I was going to ditch the blurry ones but decided to include them since they still give a good idea of how the store looks. The Deli was still open but with very limited selection. 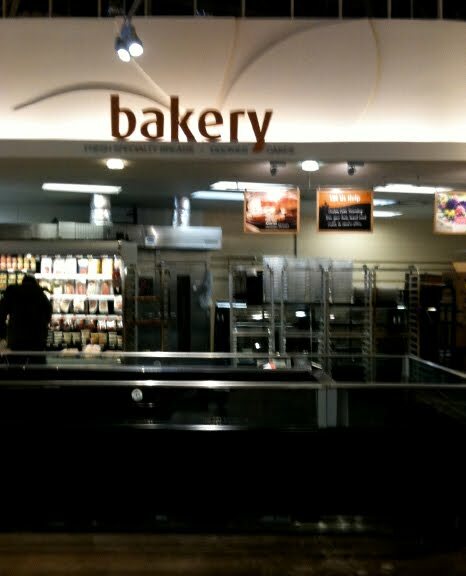 The Bakery was shut down. 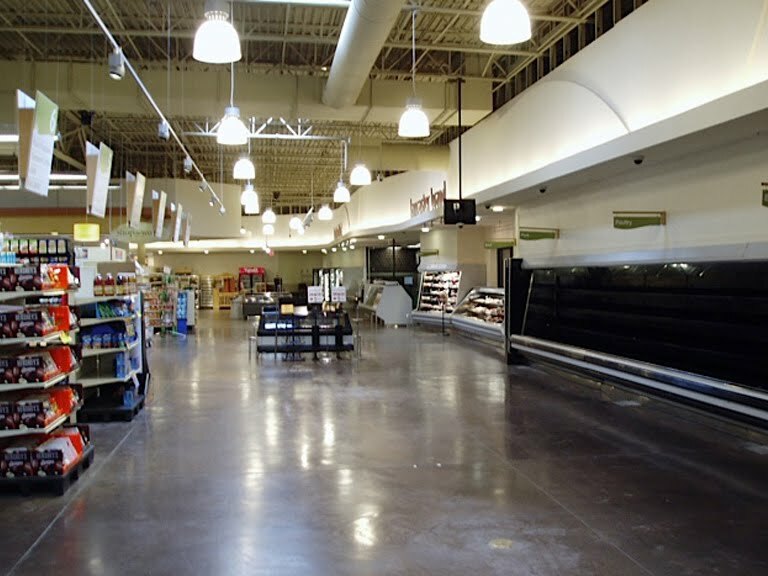 Most service departments around the store were completely wiped out. 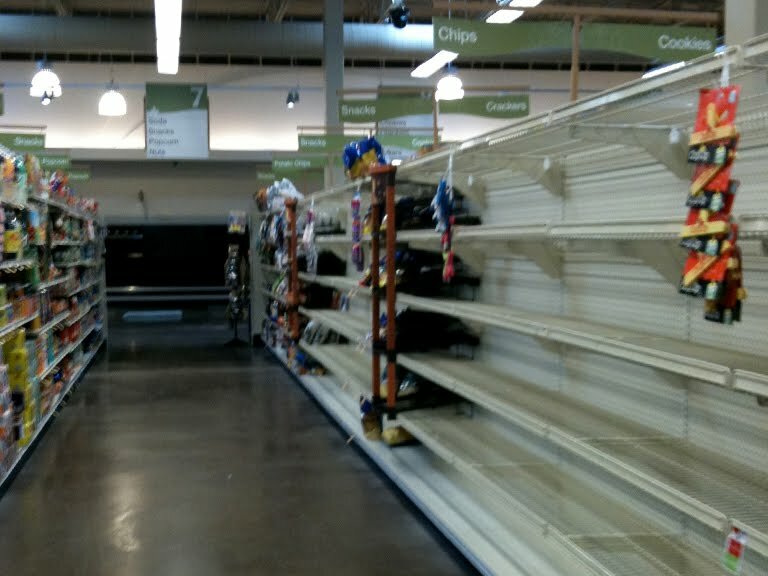 Strangely enough... most grocery shelves were still fully stocked and there were no %off sales in progress. 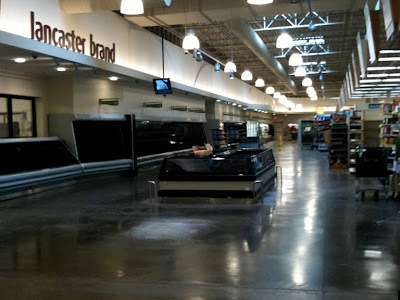 In fact, I saw no signage that mentioned the store was closing. 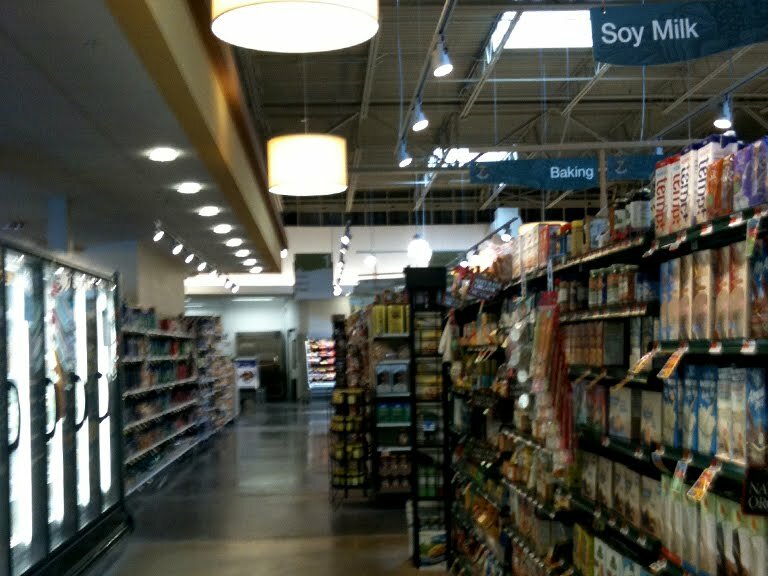 Here we are in the Wild Harvest section of the store. 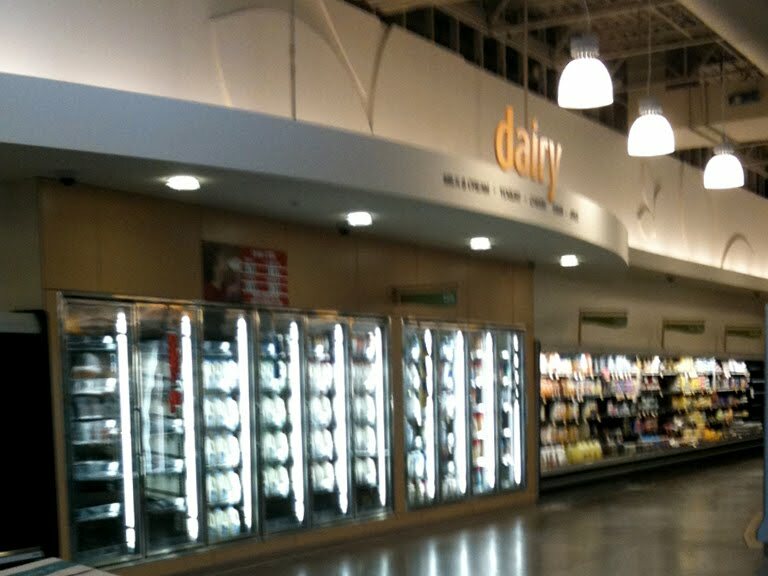 I was very surprised to see it fully stocked. All straight aisles here too. 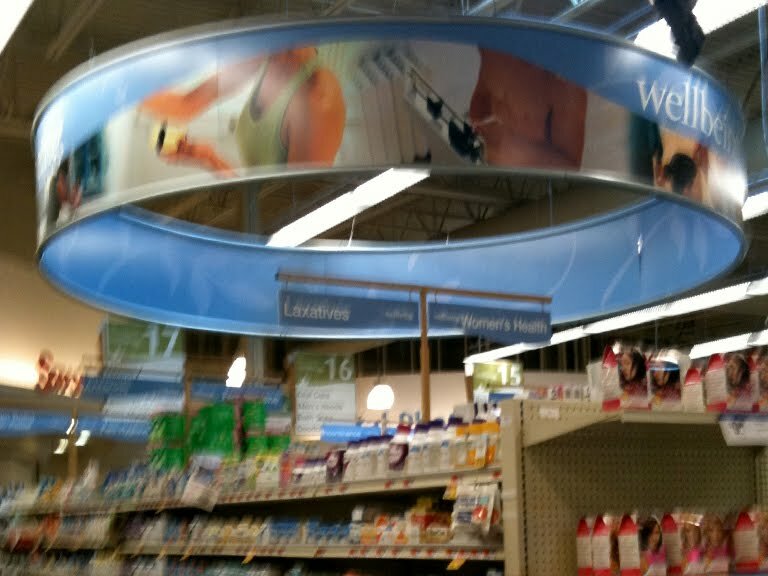 Other stores have the "Shop the World" section to the rear with oddly angles aisles which make for a strange shopping experience. A couple of grocery aisles are starting to empty out. When I was here, there was an announcement made that "the Acme truck has arrived!" 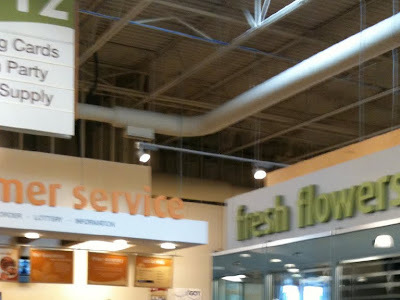 I was surprised to see quite a lot of employees in the store. 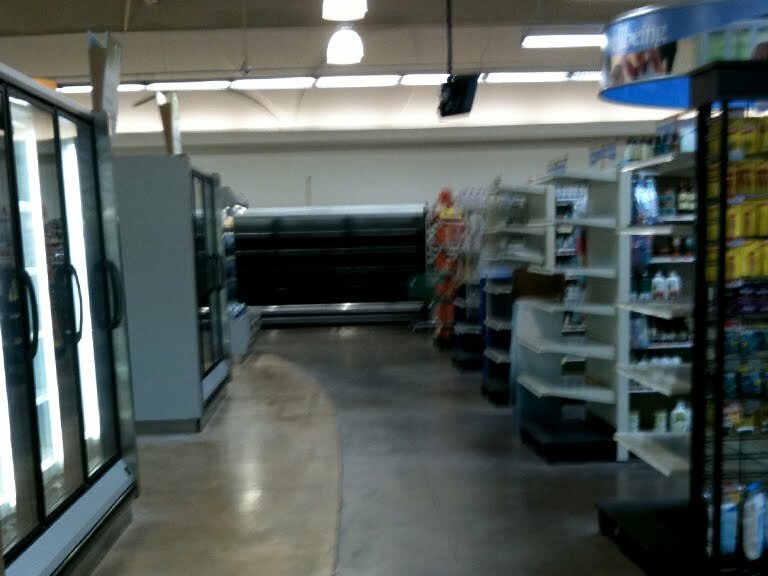 Some just going around blocking merchandise on shelves. Dairy is along the back of the store and continues over to the left right wall. Not quite 20 aisles. 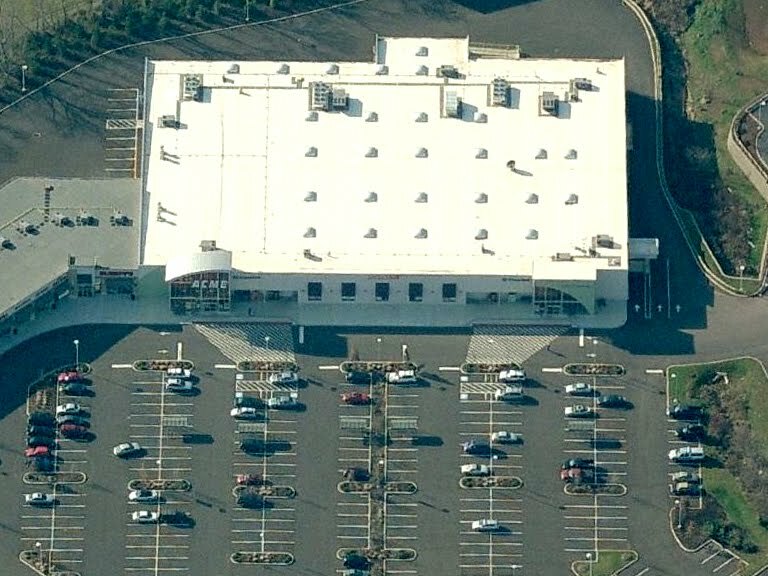 20 is the back half while 19 is the front half. Do people still get pictures developed? 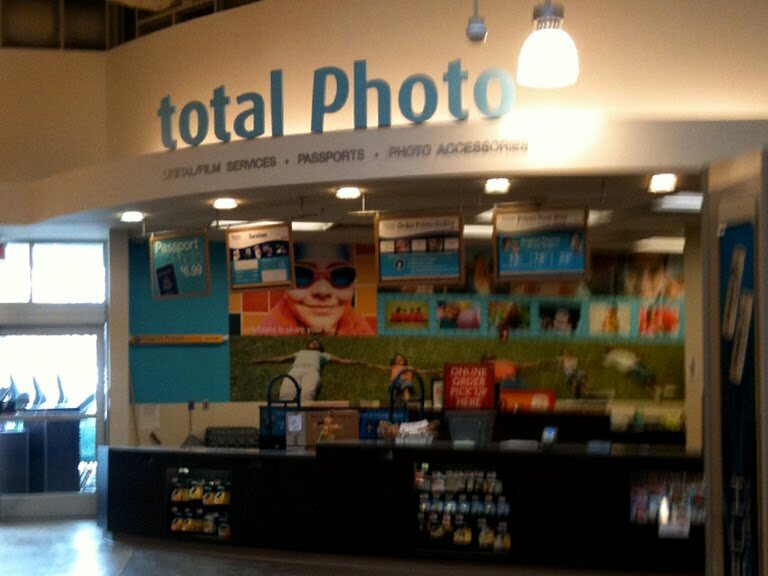 It has to be at least 5 years since I last dropped off film anywhere. 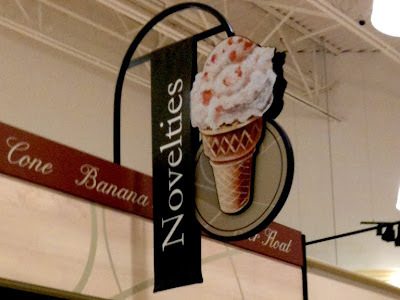 I will say... that P drives me nuts. I've seen it this way in other stores. 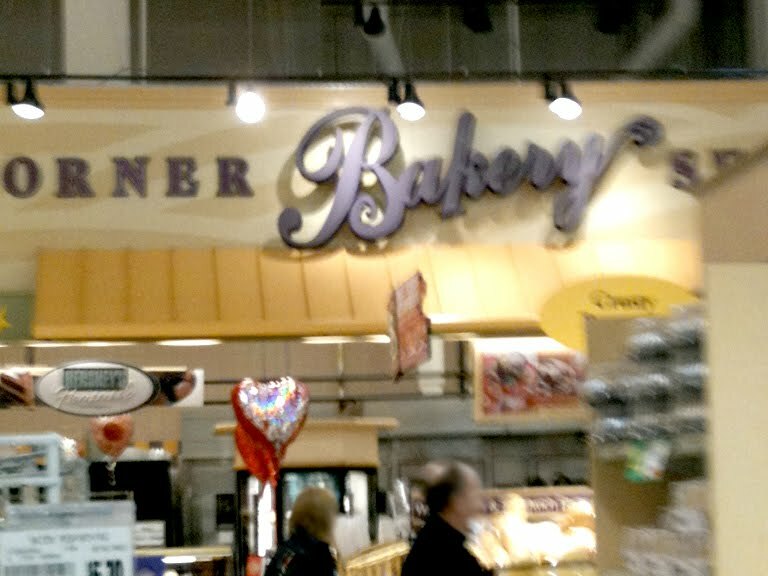 It could have easily been dropped down to be lower case like the "y" was over in the bakery. The employees were very friendly and as much as I wanted to, I didn't have the heart to ask when the store was closing for good. 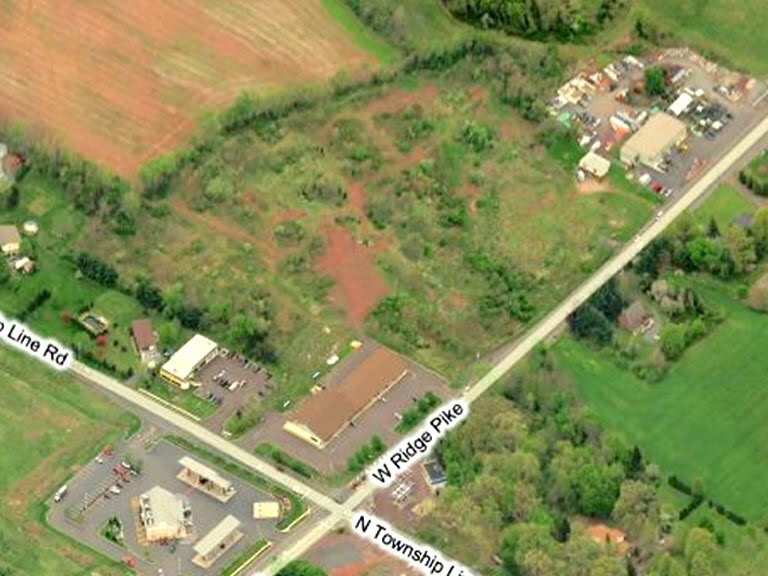 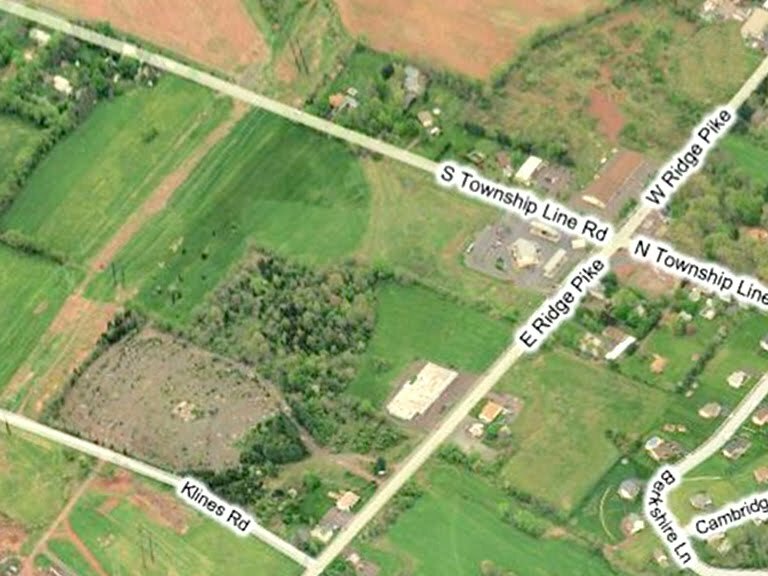 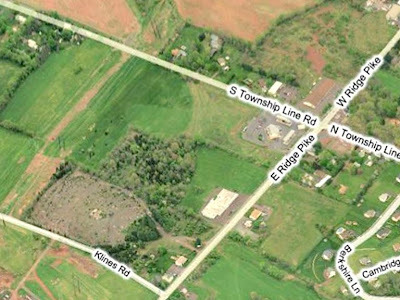 Until just very recently, the aerial shots of this area showed the land undeveloped. 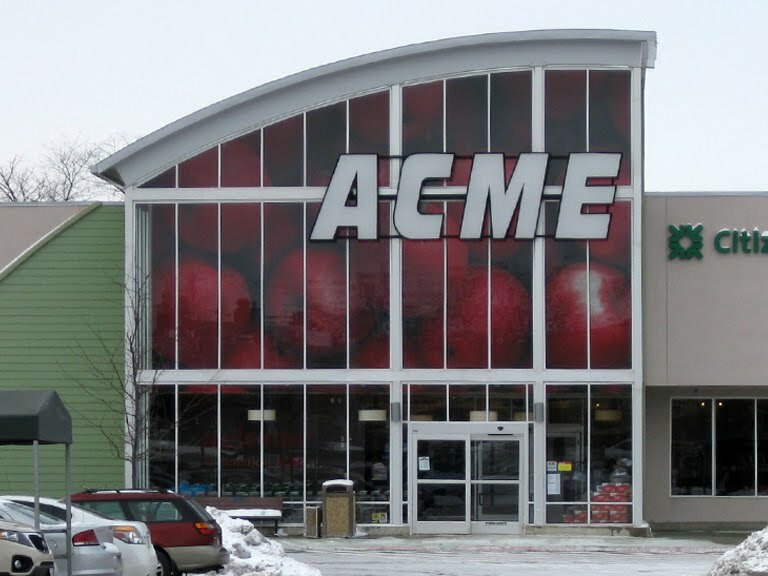 But now the Acme does show up in the satellite images. 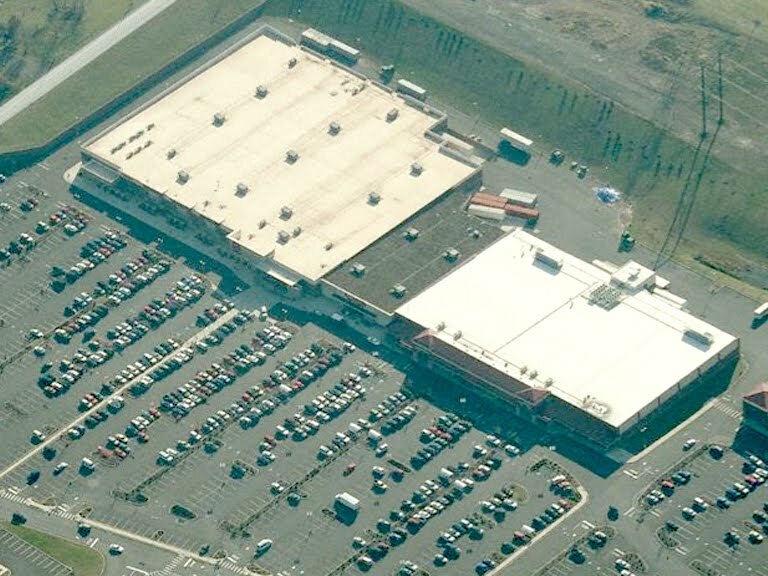 Sad parking lot. 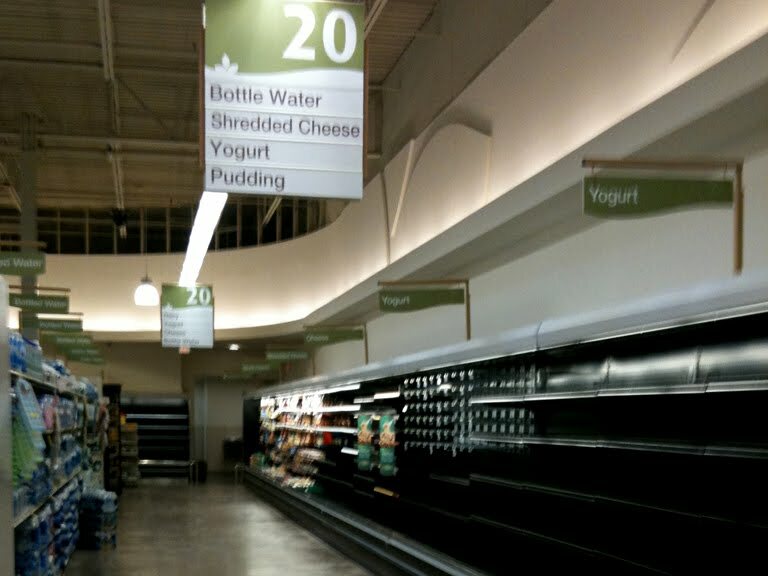 Wait until you see the crowds over at Giant. 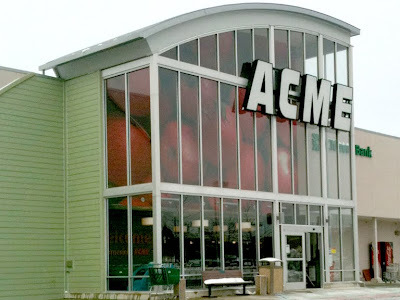 Yep, nobody shops at the Acme. Would it kill them to be competitive? 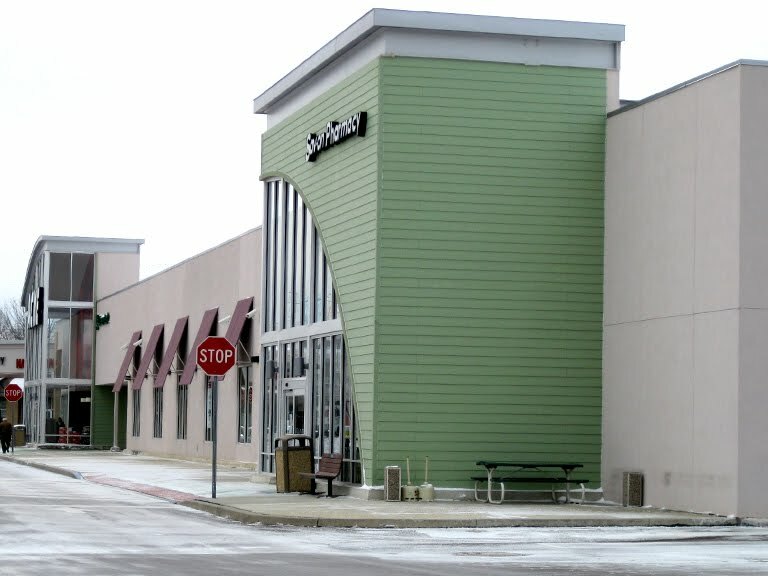 Why spend all the money to build a new store and then just get crushed by the competition? 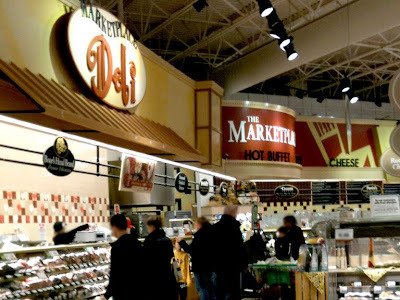 During the 90's, I was a fiercely loyal Giant shopper and was quite convinced that it was the best supermarket chain I had ever done business with. (Sorry Acme) After relocating to New Jersey, Giant was no longer an option. 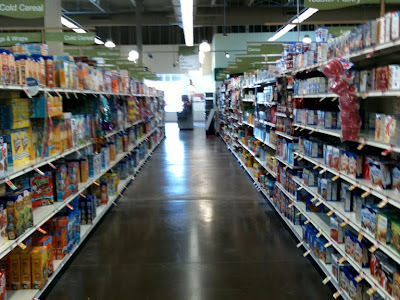 I then began shopping at Edwards which was Giant's sister chain. 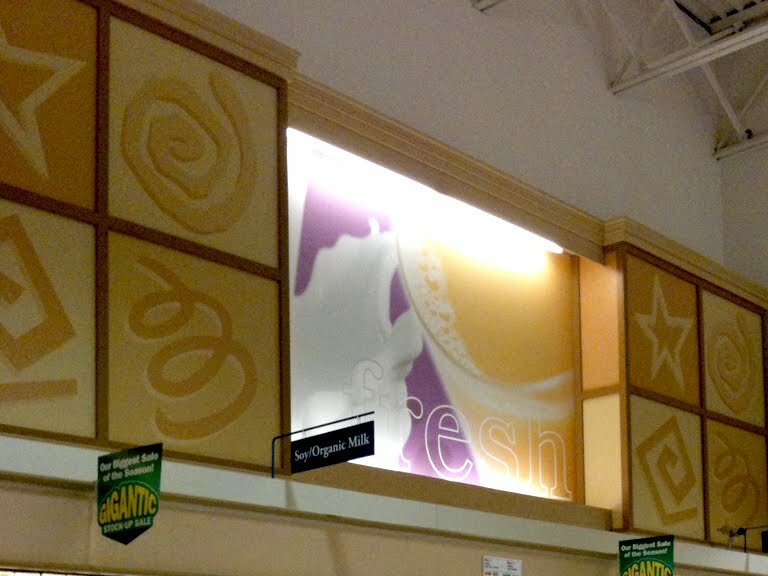 A few years later, the Edwards banner was inexplicably eliminated in favor of the far inferior Stop and Shop banner. 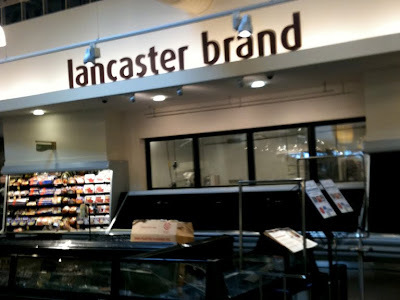 All chains are owned by Ahold, yet none, including Giant Maryland division, come close to the excellence that it is Giant PA. (Giant MD has a similar logo and uses the same fruit bowl icon as Stop and Shop). 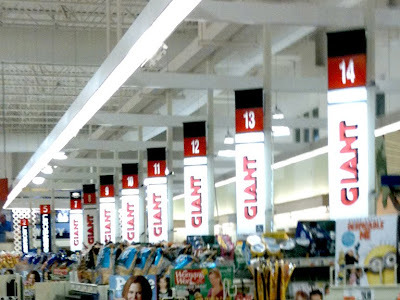 In the early 90's, Giant had an aging fleet of stores. 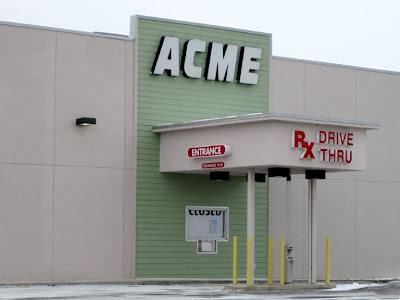 Some were so painfully dated it was hard to understand how they were still open. 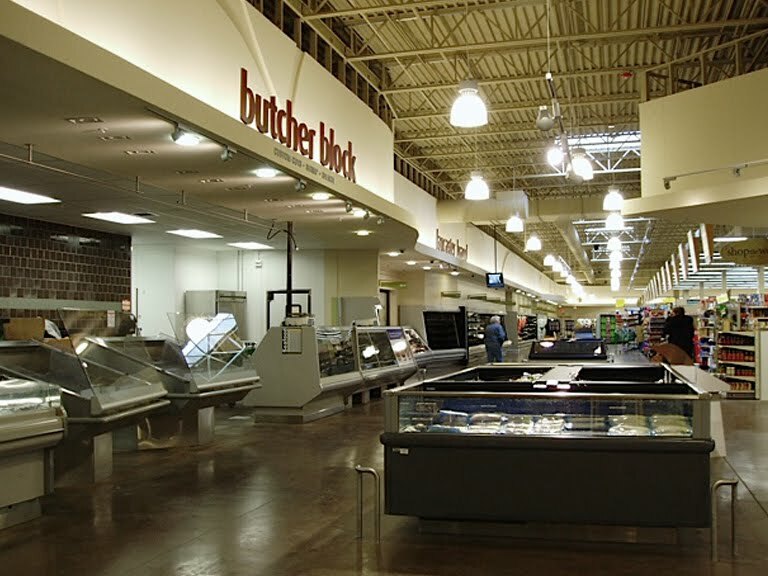 Early in that decade, stores began to be remodeled at a dizzying pace. 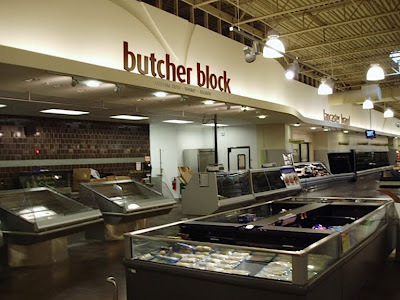 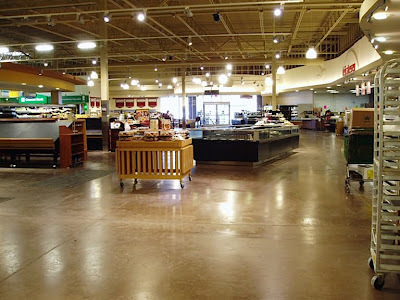 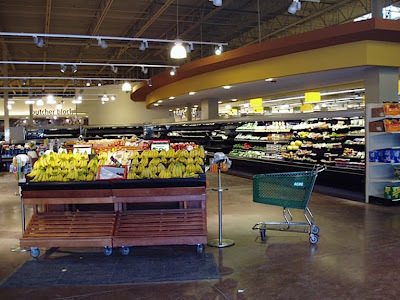 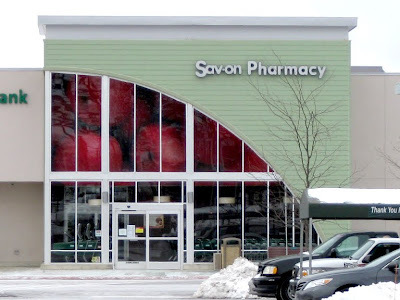 By the mid 90's, it was hard to find a store that hadn't been extensively upgraded and remodeled from floor to ceiling. Heading into the late 90's, Giant showed no signs of slowing down and began building larger replacement stores for many of the previously remodeled locations. 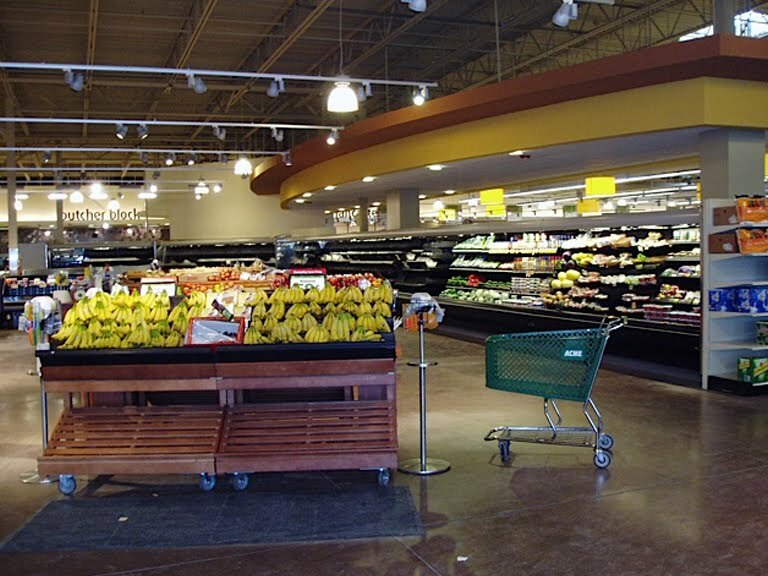 Within 10 years the chain had virtually reinvented all of it's stores and drastically increased it's store counts. 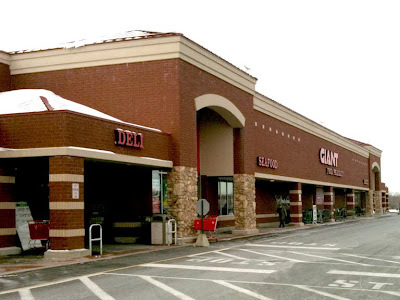 I don't have any statistics to back this up but from my obesrvations alone, Giant appears to have one of the most aggresive remodel and new store construction plans of any chain out there. In the mid-90's, Giant started rolling out very interesting store decor theme which continues to this day. They favor a rather cartoonish look to their department signage with no expense sparred on decor elements throughout the entire store. Throughout the 90's Giant, like Acme, was big on the all-white interiors. 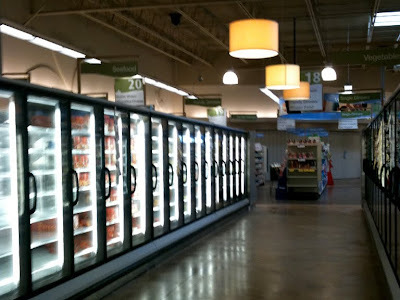 They have since switched to warmer color schemes but keep a very playful sense to the decor. 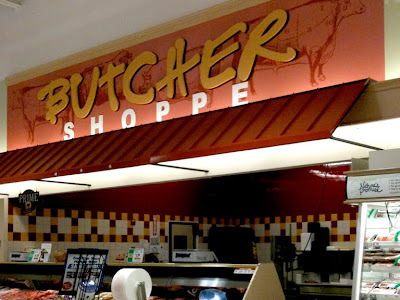 Why make the Butcher Shoppe appear high-end when you can make it look fun! 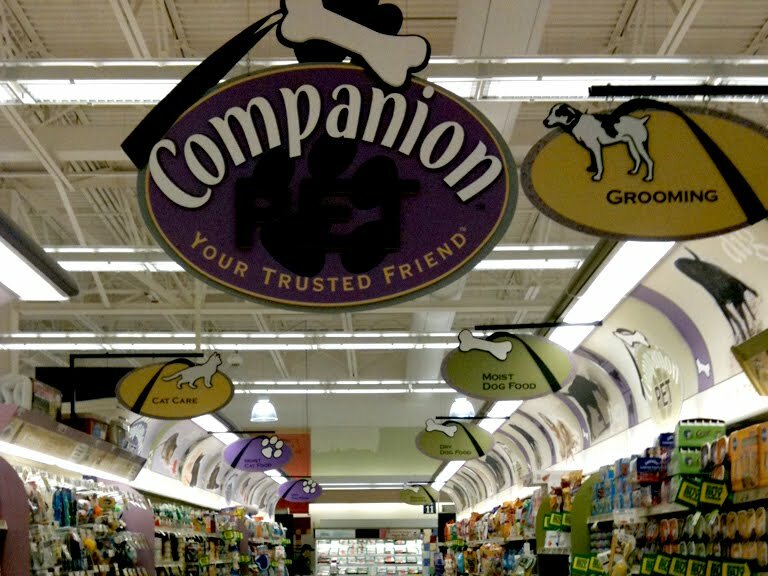 Very nicely designed pet aisle decor. Back in the early 90's, Giant was refused to jump on the trend of requiring customers to have a card to qualify for sale prices. In fact, the company's quirky president Alan Noddle, explained in TV commercials that no card was needed to shop it's stores and that sale prices were available to everyone. 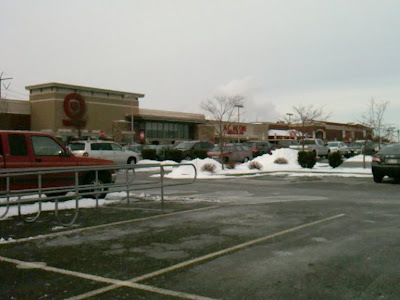 A few years later, Giant gave into the trend and began issuing it's "Bonus Card". 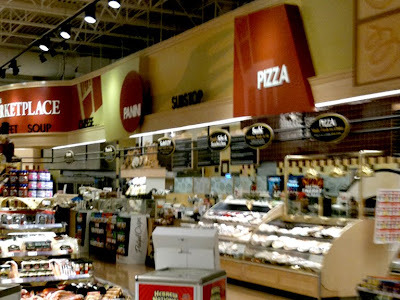 Unlike other chains who always seem to be rebranding their pricing themes, Giant has stuck with it's "Bonus Buys" theme since the 90's bringing consistency to the chains pricing policy. 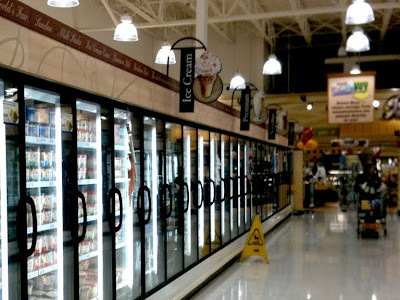 Other stores, such as A&P and Pathmark, desperately change their pricing themes and ad campaigns far too frequently hoping something will eventually resonate with shoppers. 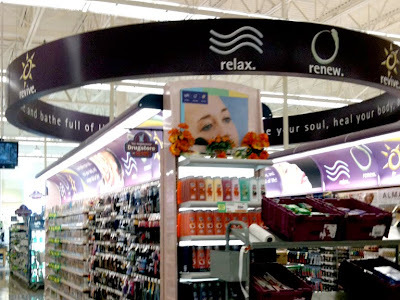 Stop and Shop has the "relax. renew. 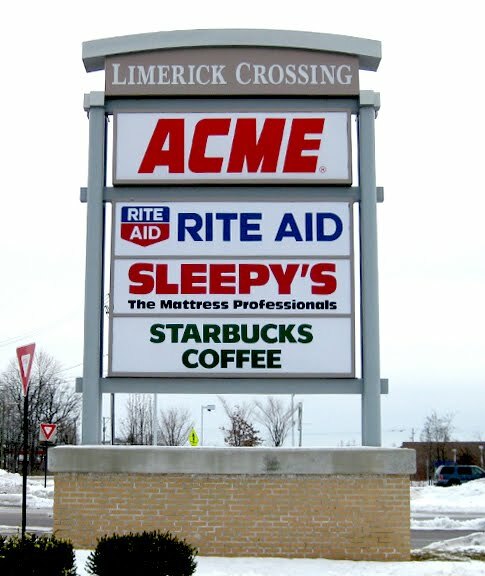 revive." theme in Health and Beauty as well but Giant takes it to another level. It's still hard for me to believe that Stop and Shop and Giant are related. 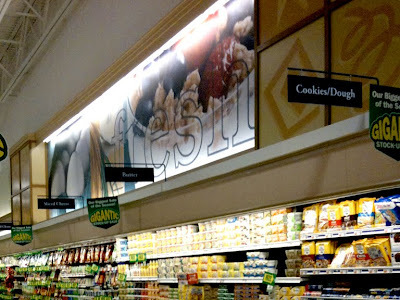 The difference between the two chains is night and day. The Corner Bakery still located in the far front corner of the store. 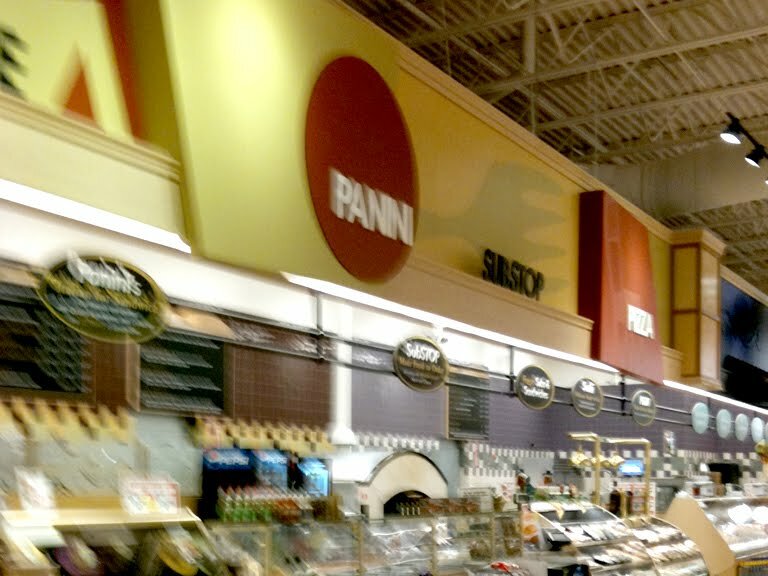 Giant is one of the few chains that hasn't bumped the Bakery over to perishable and service intensive section of the store. Giant's signature front end. 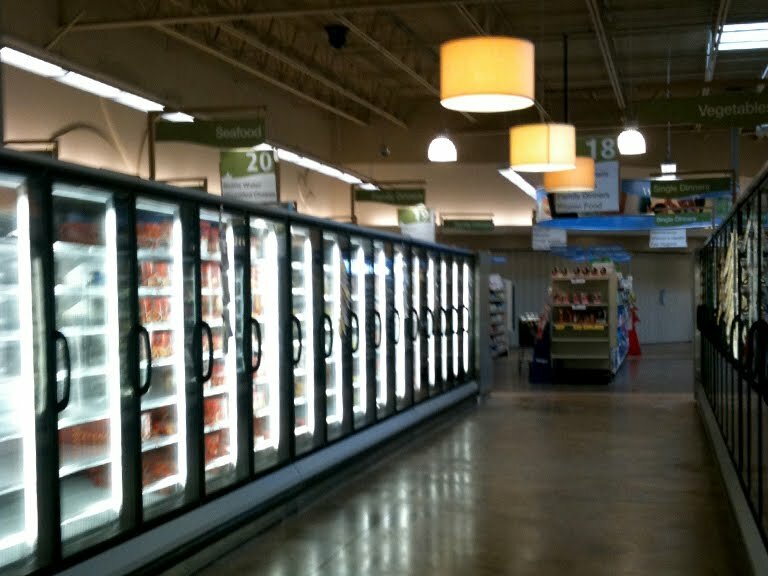 The register lights are standard issue throughout the chain. 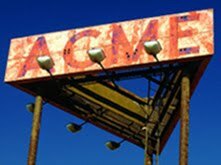 Sure beats Acme's hideous, generic register lights which just get junked up with advertisements that no one cares about. Nearly every register was open here... with lines. Day care at a grocery store? Giant's got it! Giant and Target... a killer combination that put Acme out of business.